It’s time to give up on the corporate, over-marketed coffee guys. I would imagine Santa Barbara and especially New York have plenty of independent coffee shops or roasters. I’m sure you’ll find better coffees with the same kind of straightforward business philosophy that you find at Trader Joe’s while meeting new people and exploring different coffees! Normally I’d say the same thing, Chicago Coffee lover. But that hasn’t been my experience. The best coffees are carefully sourced and selected beans, roasted on the spot. And there are some great places where that’s done. One example is the Pilot Coffee Roasters HQ in Toronto. But those are rare, and there are none quite like it in Santa Barbara. Also, most of the gourmet coffees I’ve tasted (e.g. Intelligentsia) have an extra flavor — not sure what it is… acid? — that’s a bit like chewing on tin foil. 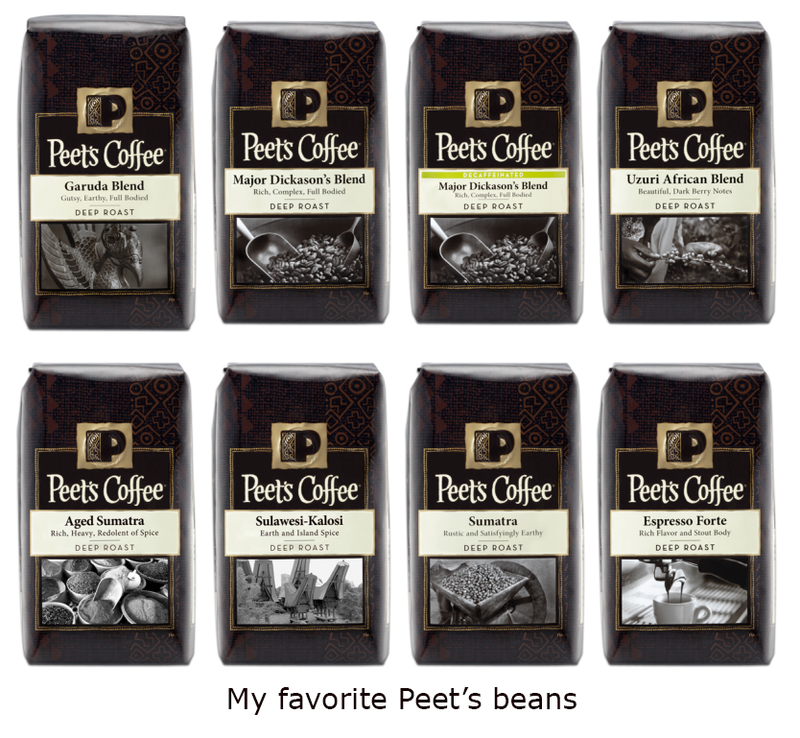 Peet’s coffees in the image above lack that flavor, and are otherwise very tasty. And the beans tend to have been roasted no more than a few days earlier. That’s one reason why nearly two weeks between ordering and delivery isn’t acceptable. 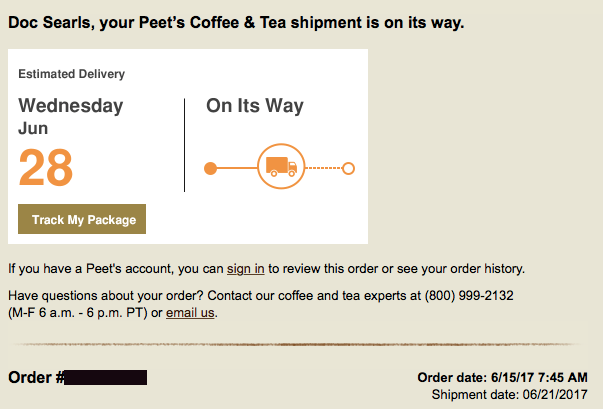 By the way, I’ve heard nothing from Peet’s on this.